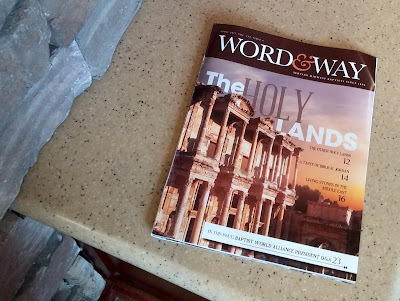 The cover package on the holy lands. The first piece, The Other Holy Lands, considers how many other countries - like Jordan and Turkey - are holy lands like Israel. The second piece [not online] is a photo essay from my trip to Jordan last October. The third piece [not online] is one I merely complied that features stories from Baptists in Israel, Lebanon, Iraq, and Syria talking about life and faith in their nations. Get your subscription now (for only $17.50 a year) so you don't miss out!